​Manchester United and England forward Marcus Rashford is determined to stay at Old Trafford and make something out of his Red Devils career, despite being advised to leave by many pundits. ​The Sun has revealed that Rashford, aged 20, is keen to stay at his boyhood club despite finding game time hard to come by under boss Jose Mourinho. Even when he does make it onto the pitch, the chances of him playing in his preferred central position are scarce. The United academy graduate has enjoyed a fine international break whilst away with England, netting in games over Spain and Switzerland with two well taken finishes. Unfortunately, Rashford will not be able to carry his form for the Three Lions into the ​Premier League just yet, as he is yet to start his three-match ban after headbutting ​Burnley's Phil Bardsley. A United source told The Sun: “Marcus loves the club and does not want to move but he wants to be a striker or at least play down the middle as a No 10. Liverpool legend Jamie Carragher has had his say on the situation, advising Rashford that he should look elsewhere with just over a year left on his contract. Carragher said: “I don’t see Rashford ever displacing Lukaku so long as he is there. Everton is a club where someone like a Rashford knows he can play every week. 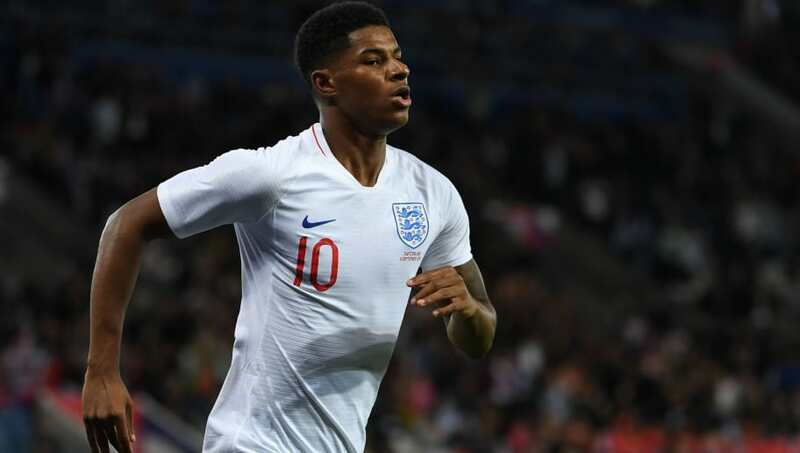 England boss Gareth Southgate was far more positive regarding Rashford's future at Old Trafford, claiming that Mourinho thinks very highly of the young forward as well as likening him to a young Cristiano Ronaldo. Southgate said: “Jose thinks the world of Marcus. He’s a huge admirer of him, but he has got his job to do. There is huge competition for places at his club so you can understand that. We have to remember that I don’t think Harry [Kane], at that age, had hardly played anywhere near the matches for ​Spurs, really. "Even if some of those other top players who have broken into the team, some of the step-overs and things Ronaldo was doing at that age, but he wasn’t converting them into the number of goals, so we have got to give him time to develop."